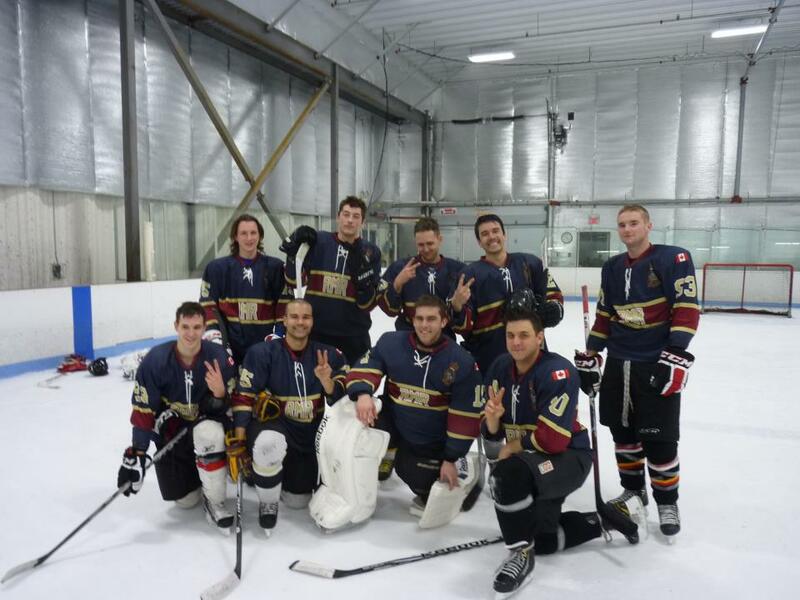 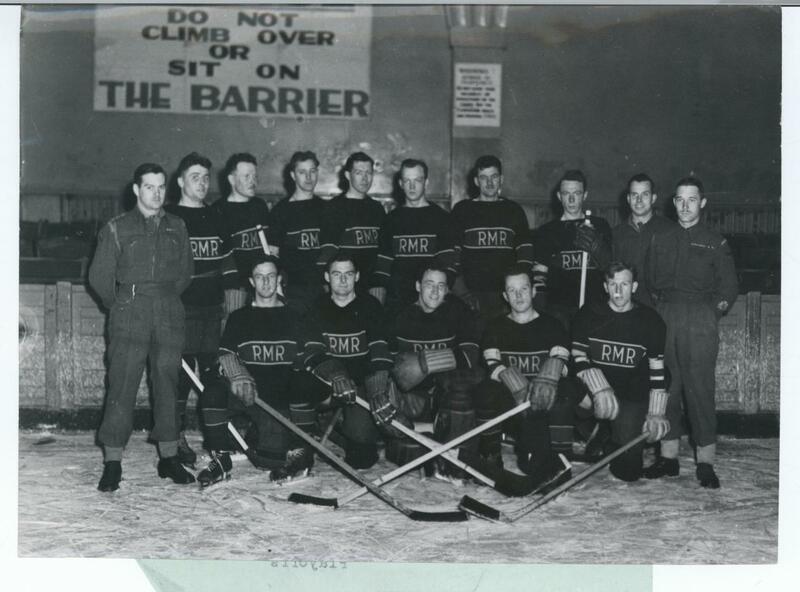 The RMR’s hockey team has a proud tradition, both on and off ice. 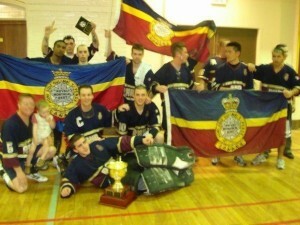 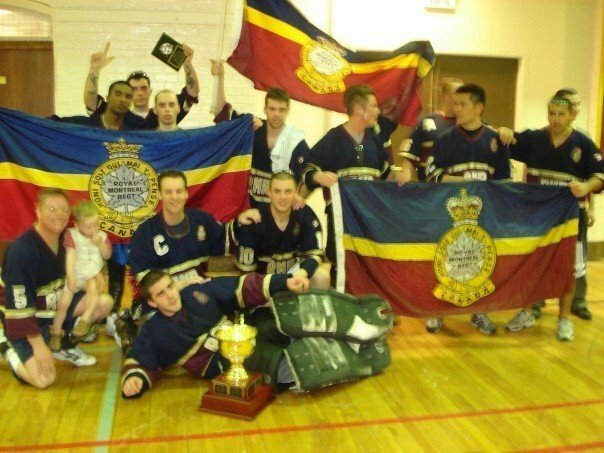 The RMR’s Armoury has one of the best surfaces in the region for ball hockey, and as such regularly hosts the Montreal Military Hockey League (ball hockey). 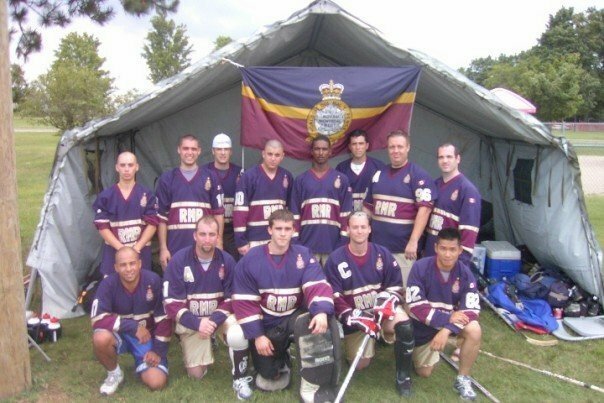 The RMR’s players represent some of the best values of the Infantry: Teamwork, physical fitness, discipline, courage, and above all an aggressive desire to win. The current jerseys worn by the team are a reproduction of the ones worn by their comrades in the Second World War who won the Canadian Army championships.